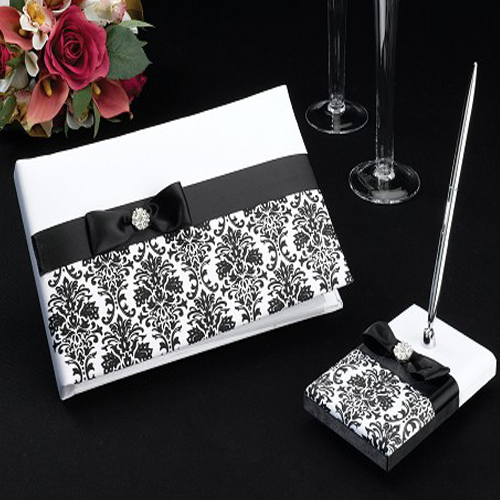 This set includes a 10" x 6.5" guest book and a pen set with 3.25" x 5.25" base. Both are covered in beautiful white satin and decorated with black satin ribbon, a black satin bow and a rhinestone ornament. Below the ribbon is an elegant silk-screened damask pattern. The book holds 30 pages for a total of 580 signatures. The pen is silver with black ink.